11 pounds of Skin-on Walleye Fillets individually frozen 4 - 6 oz each. 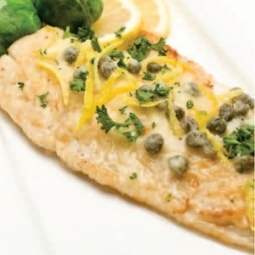 With WalleyeDirect.com you can enjoy the taste of wild Canadian Walleye in the comfort of your own home. Your fish will be caught in the pristine lakes of Canada where they are immediately processed and frozen to ensure freshness. We carefully pack the fillets in plastic and surround them in dry ice for shipment. Your order is then shipped overnight from our warehouse in Nebraska to anywhere UPS ships. Walleye are regarded as the best tasting freshwater fish in the world. 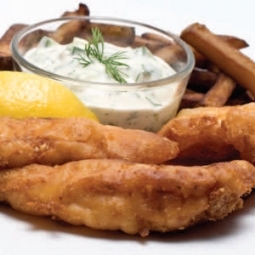 Prized by anglers for its tender flaky meat, we have found the best source and have created Walleye Direct to bring it to other parts of the country. The fillets are between 4-6 ounces, perfect size for a dinner plate, so you can plan for 2 people per pound when you order. They are cleaned and inspected at a modern facility in Manitoba so are (mostly) free from bones and ready to cook your favorite recipe. If you don’t have a recipe in mind, we have a list of some of our favorites and invite you to add yours as well. The skin is left on most of our orders so you can identify the fish as walleye (no zander from us) and it holds in the flavor best while cooking. It is easily removed and we charge a little more if you want us to do it. As with our other products these are Individually Quality Frozen so you can grab just one or two fillets for dinner without defrosting the rest. I've ordered 3 times and the Waleye has always arrived perfectly frozen and delicious! This is the 3rd Walleye order I have placed. Quality and taste is fantastic. Reliable delivery every time! Will order again. You can't fake the smell or taste of genuine walleye. 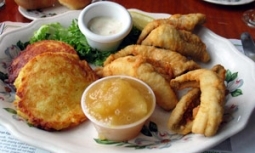 I'm originally from Minnesota and have enjoyed walleye as a shore lunch while fishing at Lake of the Woods. This is the next best thing. Thank You. Having consumed many walleye when previously living in the northern Midwest for years, I realized how much I missed that best-tasting freshwater fish after moving to California. (There are no places in California where you can catch walleye.). On a whim, I searched the Internet and found walleyedirect.com. About a year and a half ago, I ordered a batch of walleye to see if the package would show up still frozen. It was! Perfectly packed with filets individually frozen, we can pull out as many individual pieces from the freezer as desired for dinner. The meat is as delicious as I remember and we usually cook up extra for fish sandwiches the following day. Their tip about quickly hand skinning the frozen filets under hot water worked extremely well; effortless and efficient ... no filet knife needed! We now always have walleye in the freezer ready for a fast, excellent meal. If you have friends over for dinner who have never had walleye, be prepared to cook lots of extra filets. I highly recommend their walleye! This fish is sweet, delicate wonderful flavor. Delivery was fast and fish arrived frozen solid to Hawaii! Over and over it has been the best. I have been ordering from Walleye Direct for several years and I have been consistently happy with the product. It is exactly like what I remembered as I grew up on the Great Lakes. The service has been wonderful and I have nothing but positive to say about delivery times and arrival of the fish in perfect shape. The super fresh flash frozen walleye fillets arrived quickly and completely frozen. I packaged them up into separate vacuum sealed freezer packs for future use. I had guests over and thawed a few out and panko breaded them and fried them up. They were about the best breaded fried fish I ever had, bar none. Buy these, you won't be sorry. AAA+++ THANKS I loved em! I haven't had walleye in over 20 years, but I remembered that I liked it. So I decided to give it a try and buy 11 lbs of it! I'm glad I did, because it was even more delicious than I remembered! It's amazing how many fillets come in the pack. This is going to last us a long time, but it was worth it! Make sure you have room in the freezer! My parents are from North Dakota and the only fish my mother will eat is Walleye, living it MO, there aren't many opportunities to fish for walleye. So every so often I will load her up with a present from Up North. Walleye Direct has great fish, wonderful sized, individually packed. They arrive about as cold as when they left the plant. She enjoys ever morsel of them. Great product - super service - was shipped more weight than advertised. This is a very good company to do business with. When I went back to Indiana recently we had brought some walleye from South Chicago. When we came home to unpack it we noticed on the box it was package in Poland ! To say the least no way was this fresh lake walleye ! After ordering and eating the walleye from Walleye Direct it was like day and night. I ordered on Sunday from Myrtle Beach and it came to our day on Wednesday frozen solid with dry ice still coldI can not say enough . It was a little pricy compared to the other one but it was worth every penny of it ! Thank you Walleye Direct. Ordered this right in the middle of a summer heatwave. It came still frozen solid and is quite tasty. Thanks for all the fish.